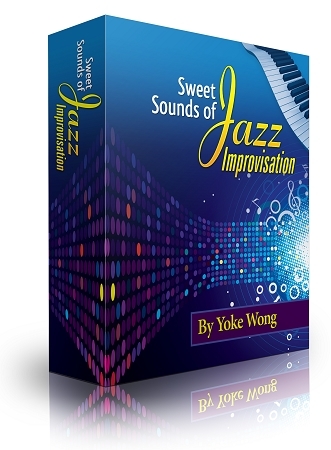 I have just purchased both the jazz and accompaniment tutorials (downloadable versions, as being in India the more efficient option) and find them very useful both in improving my technique as well as providing interesting ideas for improvization. I must commend you on your excellent teaching skill and thank you for the pains you take in demonstrating and explaining every step clearly. I recently became interested in Jazz. I purchased your jazz course and I cannot even begin to tell you how much I have learned and am implementing because you made it so simple. You took a lot of the mystery out of Jazz and playing chord progressions. I am a worship leader in a church and you have blessed more than me. I not only accompany myself but can play very pleasing instrumentals. Thank you and may God bless you for sharing your what you have learned with others. I really enjoyed your video Jazz Piano lessons. Now I can play jazz because I have learned the ideas and the concepts of what your are teaching me in your video Jazz piano lessons. It took me a while to play the rhythm but constant practice and lots of thinking from your examples and suggestions I finally nailed my jazz "swinging" rhythm. Thank you so much! You are a wonderful piano instructor and very very very "patient" too.